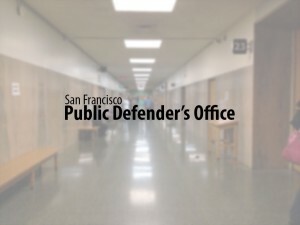 San Francisco, CA — San Francisco Public Defender Jeff Adachi will testify at the State Capitol Tuesday, Nov. 9 against extending a proposed bill that would worsen California’s prison crisis. Senate Bill 40 gives unprecedented power to judges to sentence people to the maximum term based on facts not found by a jury. SB 40 was introduced by State Senator Gloria Romero in 2007 at the request of Los Angeles prosecutors. On Tuesday, during a 9:30 a.m. hearing of the Assembly Committee on Public Safety, Adachi will ask lawmakers to allow the bill to expire instead of extending its sunset date to 2012. SB 40 was the proposed “fix” to the 2006 U.S. Supreme Court Cunningham v. California decision that declared California’s sentencing laws unconstitutional. In Cunningham, the Court ruled that a jury must find beyond a reasonable doubt any sentencing factor used to sentence a person to the maximum term. Adachi noted that Senate Bill 40 would allow judges to vastly increase the length of sentences and, therefore, the cost of incarcerating people. According to U.S. Department of Justice and corrections industry statistics, California taxpayers paid $45,045 per inmate per inmate in 2009 —36% higher than the national average. According to a 2007 report by the Legislative Analyst’s Office, the state prison population has tripled since the mid-1980s, costing taxpayers billions and prompting Governor Arnold Schwarzenegger to declare a state of emergency in October, 2006 due to prison overcrowding. Ethnic minorities are likely to bear the brunt of SB 40’s negative effects, Adachi said. “Again and again, national and state studies have shown that African Americans and Latinos are more likely to receive maximum sentences than their Caucasian counterparts. These inequities would only grow if SB 40 becomes law,” he said.